The old saying, “‘tis a poor craftsman who blames his tools” has a hidden message: give your tools the respect they deserve, since your livelihood depends upon them. 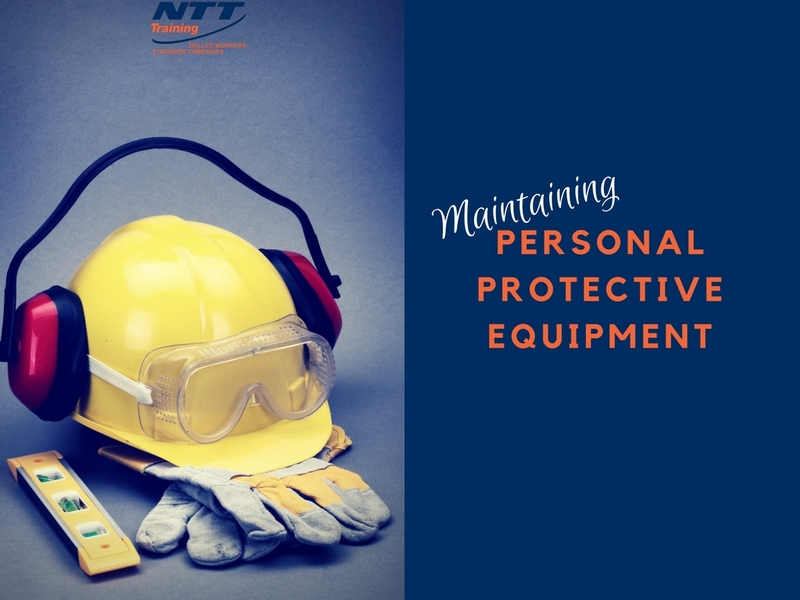 In the case of personal protective equipment (PPE), not only your livelihood, but your very life, depends upon proper care and treatment of your safety glasses, steel-toed shoes, earplugs or hearing protectors, gloves, hard hats, respirators, coveralls, vests, and full body suits. OSHA is concerned not just with the proper functioning of PPE during hazardous work, but also with often overlooked issues, such as transmission of pink eye or respiratory infections from reusing dirty equipment. Employers who respect their hard-working employers will make certain the PPE available meets all OSHA and National Fire Protection Association (NFPA) requirements. Eye and face protection must be cleaned often, since OSHA does not permit defective, damaged, or contaminated PPE to be used. Unsanitary PPE must be cleaned and disinfected before it is reissued. It also falls to the employer to train employees in the proper care, maintenance, useful life, and disposal of PPE. Employees who are adequately trained in the proper care of PPE, including a respect for its value, will learn the impact that correct maintenance has on reducing injury in hazardous conditions, such as when working around electrically energized machinery. The risk of arc flash and arc blast is so great that the last line of defense, PPE, is (unfortunately) often the life-saving line for the worker caught unawares. Not all PPE is meant to be reused. When equipment is designed for reuse, the manufacturer will provide instructions on cleaning and maintenance, because any degradation in gloves, shoes, or protective sleeves could lead to a fatal electric shock. Well-trained employees will know to look for directions from the equipment’s manufacturer to not only clean the PPE, but store it correctly. Long-lasting PPE may be neatly stored, but what of the disposable PPE? These items, such as disposable suits, respirators, gowns, aprons and gloves, must be stored with equal care. Simple precautions include leaving both types of PPE in their original, sealed packages until ready for use, keeping PPE apart from personal clothing, and isolating PPE apart from items like cleaners or pesticides. A basic safeguard with PPE is regularly scheduled inspection. Check gloves for holes or thin spots. Check eyewear for cracks, warping or scratches that could obscure vision. Check the soles of insulating shoes, because good treads provide good traction. Some PPE has an expiration date, and regular inspection can prevent usage beyond the equipment’s expected lifespan. Any worker who has benefited from proper training in PPE knows everything—disposable or reusable items—reaches its eventual end. Knowing how and when to dispose of PPE is equal to maintaining it. To learn how to maintain PPE efficiently and gain awareness of hazardous conditions requiring PPE, attend NTT Training’s two-day seminar, NFPA 70E: Arc Flash Electrical Safety Training. Contact NTT today to find out more about this valuable program.